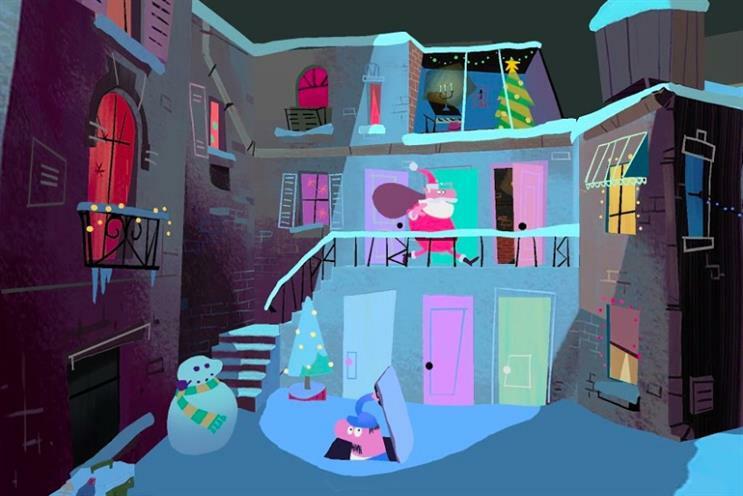 Google unveils a Christmas animation by the studio behind Wallace and Gromit as part of its drive to bring 360° video to a wider audience through the use of interactive stories. Aardman has posted a charming, four-minute-long animated film on YouTube that follows Santa Claus trying to make his deliveries without being caught by a nosy caretaker. The Pink Panther-style caper allows users watching on Android devices to move around the video and even trigger events or unlock characters. A non-interactive version is available to stream on YouTube for web and iOS users for the first time. Aardman has crafted the animation to work optimally in 360° video, adding multiple sub-plots. For example, a viewer looking away from the high-octane chase between the caretaker and Santa could instead watch a man in his kitchen trying to stuff an oversize turkey in the oven. Spotlight Stories, which started out as a Motorola project, launched in 2013, when Google still owned handset maker Motorola Mobility. The idea was to create richly immersive shorts, suitable for new formats like mobile, or even virtual-reality headsets. The first Spotlight Stories animation, Windy Day, was created by the Pixar animators behind the movie Ratatouille, and showed a mouse chasing a hat being blown around by the wind. It was available only on Moto X handsets. Google went on to launch an app that is now available for compatible Android devices and iPhones. Currently, Spotlight Stories is housed within Google's Advanced Technologies and Projects (ATAP) group. However, technical lead Rachid El Guerrab told The Verge the plan is to release a story-development kit next year so that individuals – and brands – can create immersive stories themselves.